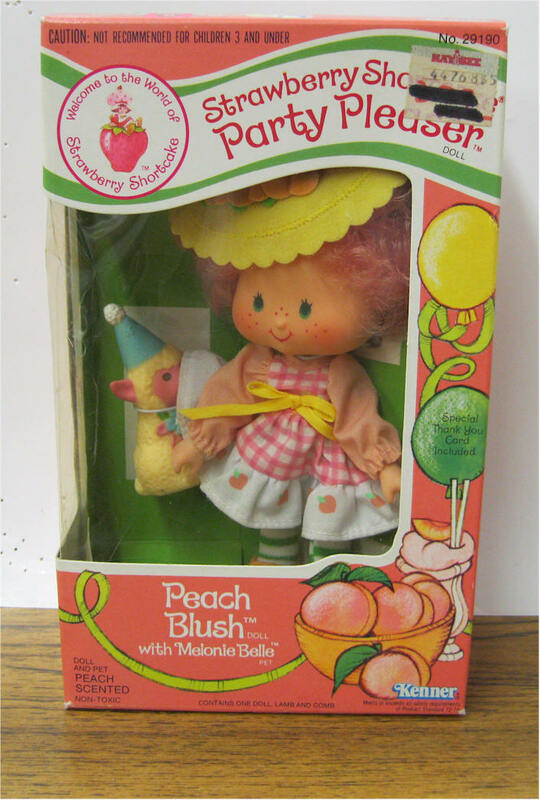 Party Pleaser Peach Blush w Melanie Belle Party Pleaser. Box sealed on bottom and top. Mint condition. 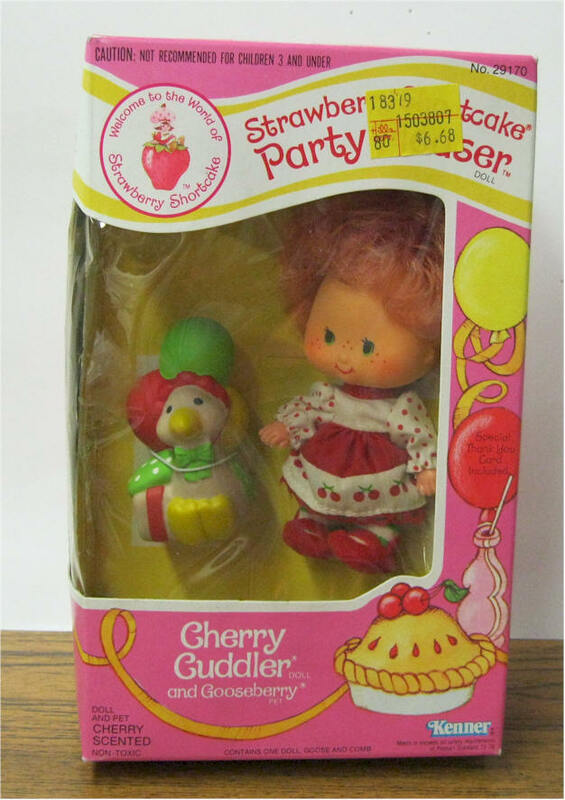 Party Pleaser Cherry Cuddler Pleaser w Goosebery. Mint in box. Sealed on both ends. Party Pleaser Mint Tulip w Marsh Mallard Duck. Box sealed on bottom. Excellent condition. Strawberry Shortcake Party Pleaser w Custard. Hat is not attached. 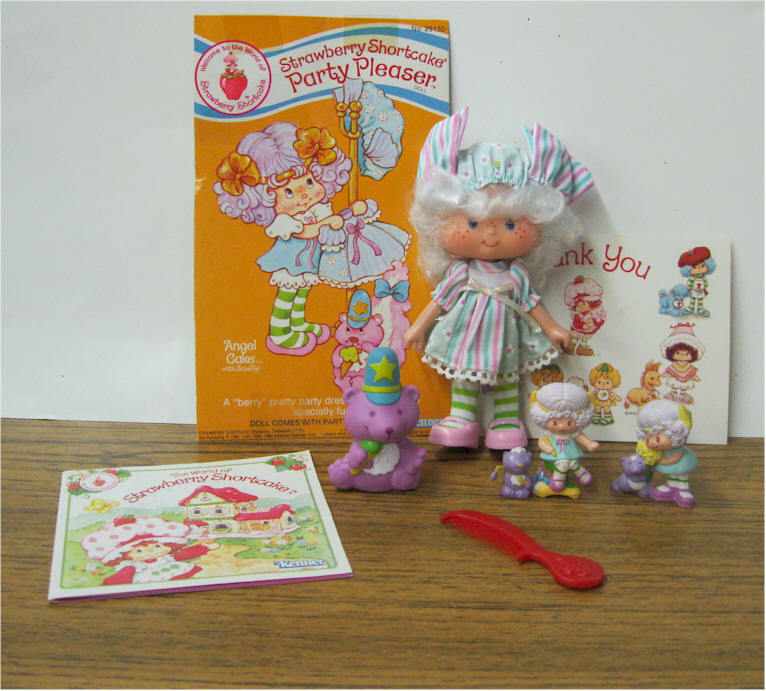 Doll and pet still in excellent condition. 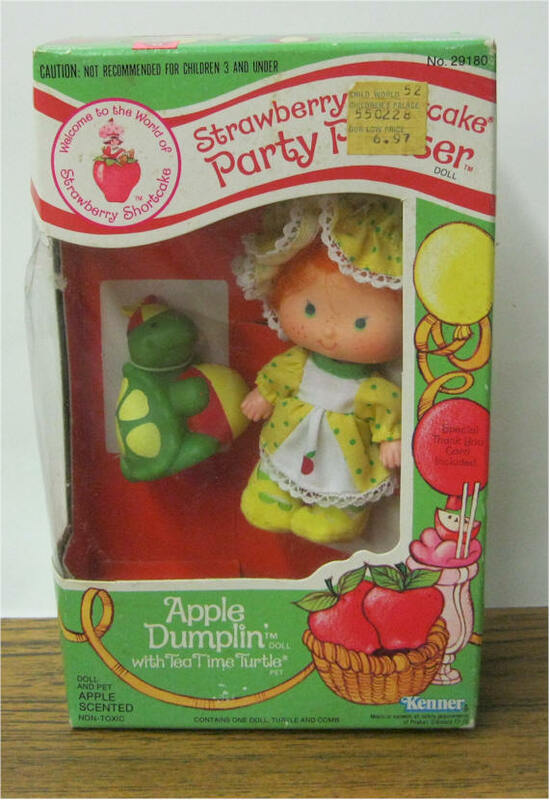 Party Pleaser Apple Dumplin with Tea Time Turtle. . Mint condition. Box sealed on both ends. 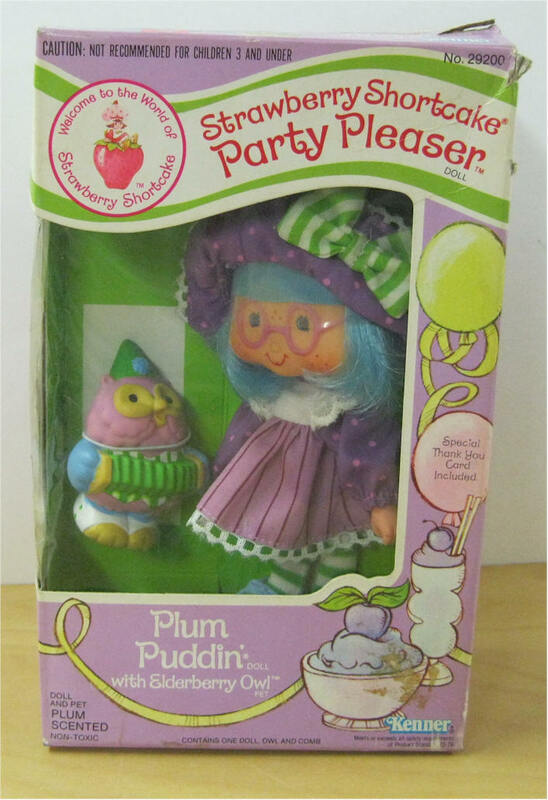 Plum Puddin w Owl Party Pleaser. Complete. . Excellent condition. One flat is missing on top of box. Peach Blush w Melanie Belle Party Pleaser. All Original, Comes with Thank You Post Card, Brochure SS Air Freshener Mint condition. Never played with. Plum Puddin w Owl Party Pleaser. Complete. 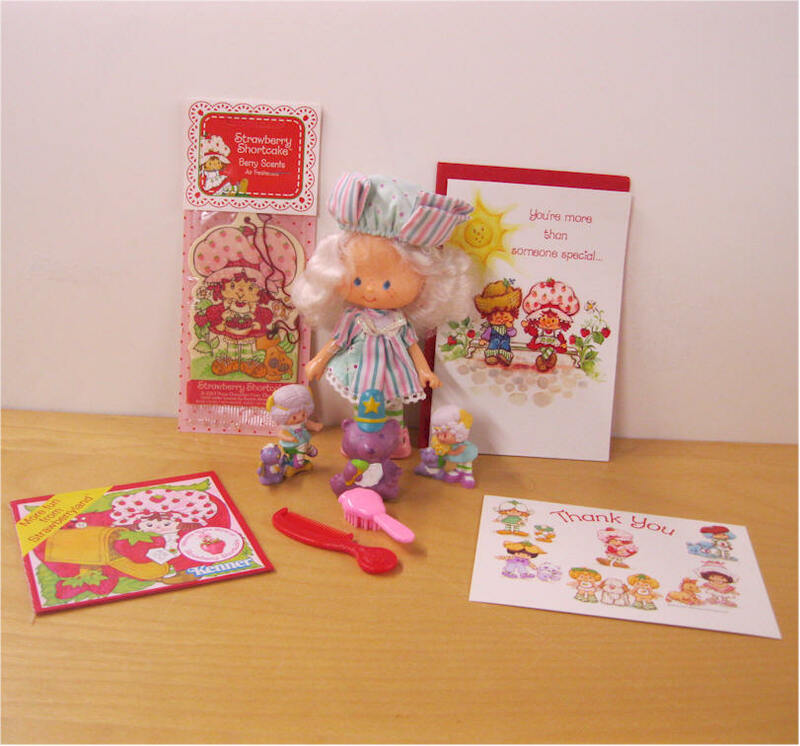 All Original, Comes with Thank You Post Card, Brochure Air Freshener Greeting Card Comb and brush. Mint condition. Never played with. Strawberry Shortcake Party Pleaser w Custard. 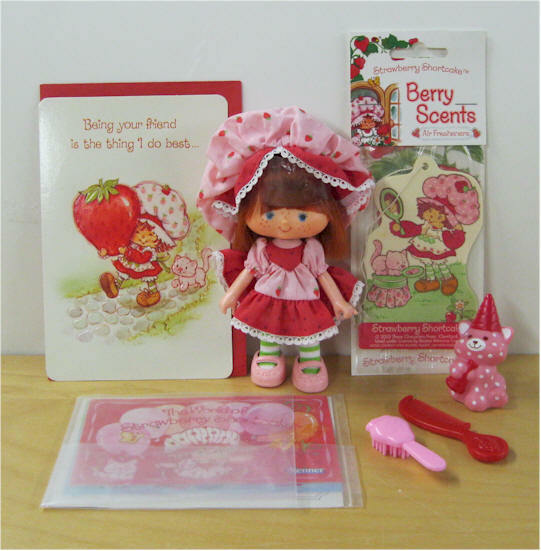 All Original, Comes with Thank You Post Card, Thank you card with envelope and brochure SS Air Freshener Mint condition. Never played with. Cafe Ole Party Pleaser w Burrito Donkey. 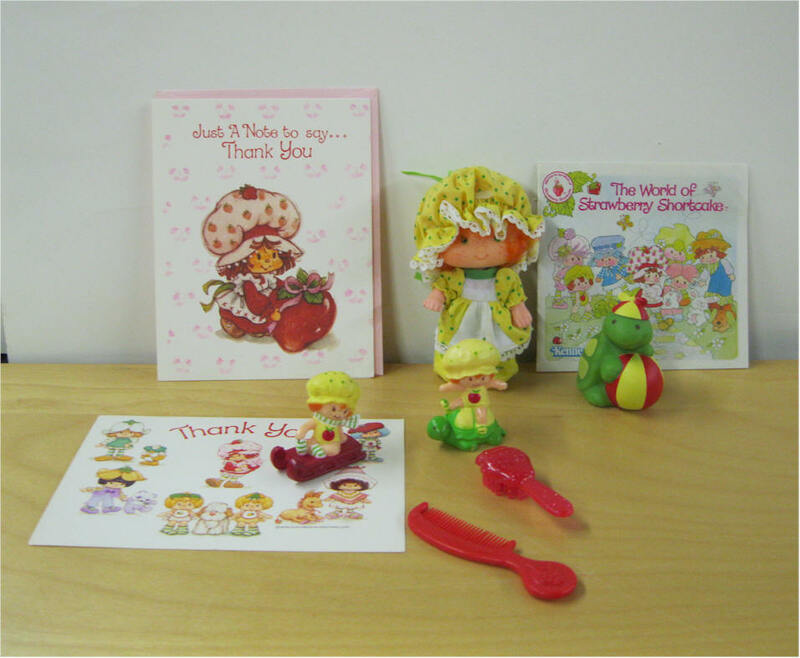 All Original, Comes with Thank You Post Card, Thank you card with envelope and brochure Mint condition. Never played with. Angle Cake Party Pleaser w Souffle. 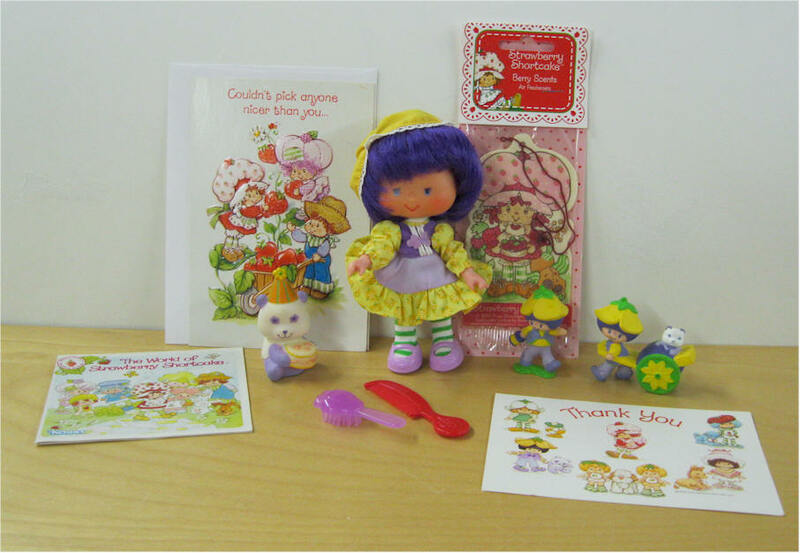 All Original, Comes with Thank You Post Card, Thank you card with envelope and brochure Mint condition. Never played with. Angle Cake Party Pleaser w Souffle. 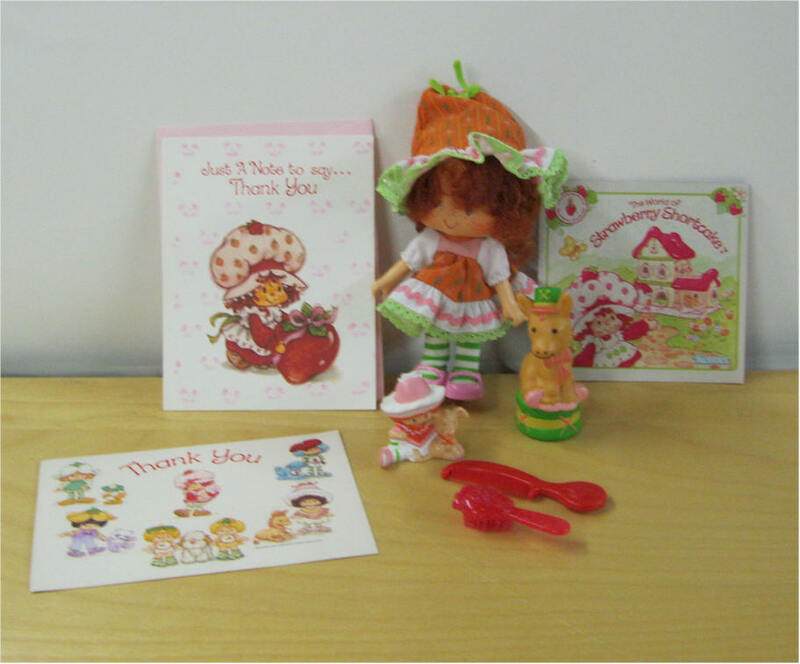 All Original, Comes with Thank You Post Card and back of box. 2 Angel cake miniatures. Mint condition. Orange Blossom Pleaser w Marmalade. 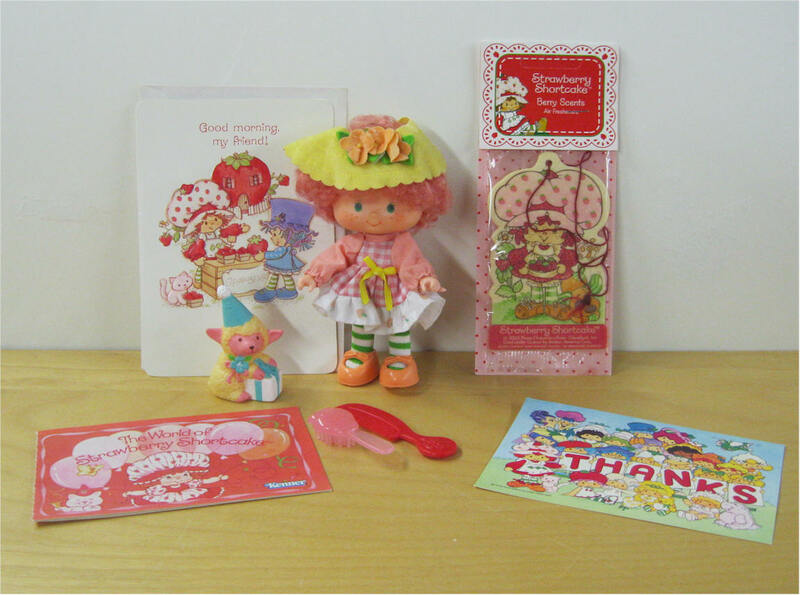 All Original, Comes with Thank You Post Card, Thank you card with envelope and brochure Good condition. Apple Dumplin Party Pleaser w Tea Time Turtle. 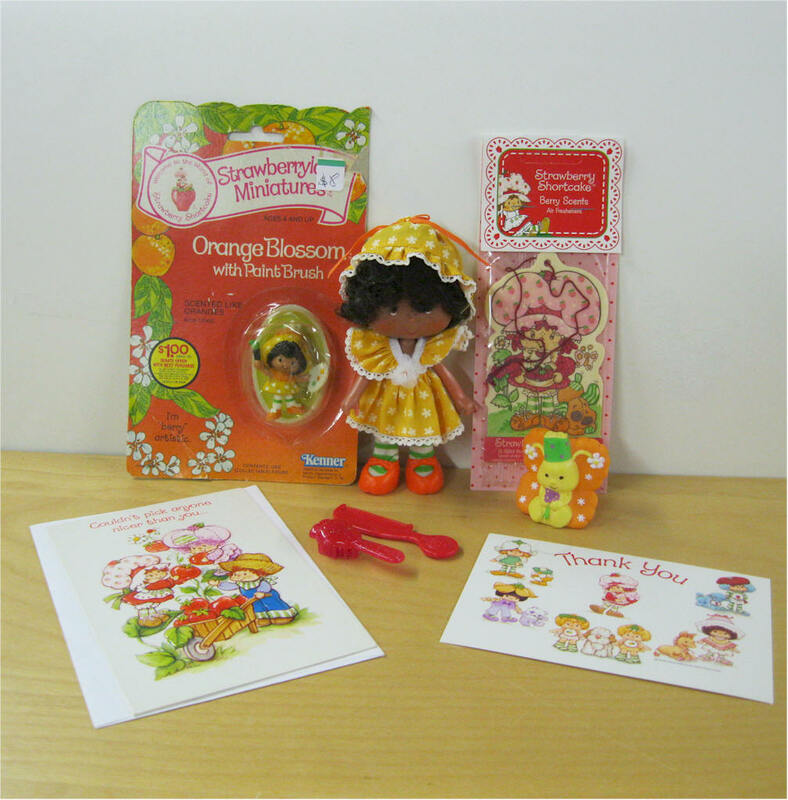 All Original, Comes with Thank You Post Card, Thank you card with envelope and brochure Mint condition. Never played with. Cherry Cuddler Party Pleaser w Gooseberry. 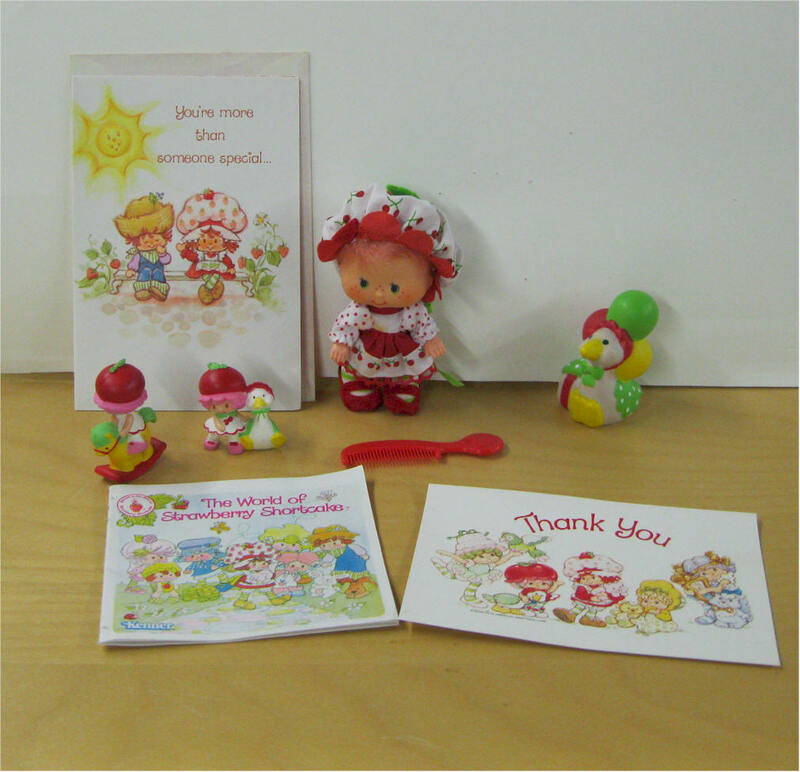 All Original, Comes with Thank You Post Card, Thank you card with envelope and brochure. Two Miniatures Good condition. Small stain on dress. Almond Tea Party w Marza Panda Party Pleaser. 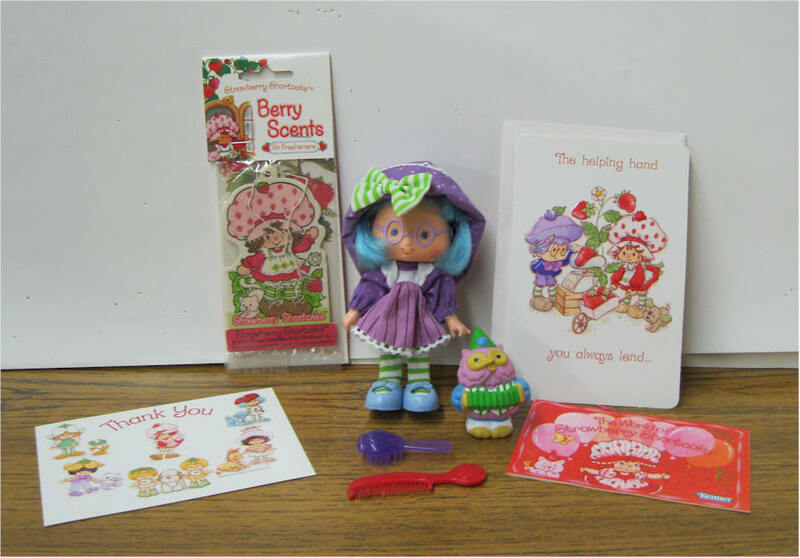 All Original, Comes with Thank You Post Card, Thank you card with envelope and brochure Two Miniatures SS Air Freshener Mint condition. Never played with. 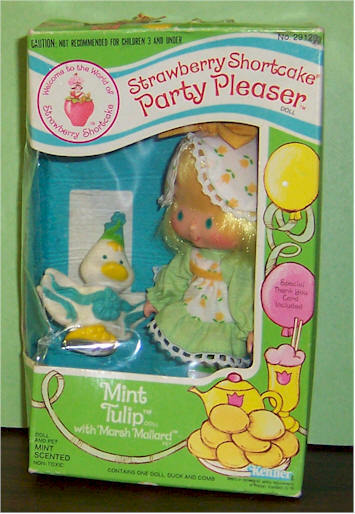 Party Pleaser Mint Tulip w Marsh Mallard Duck and miniature. 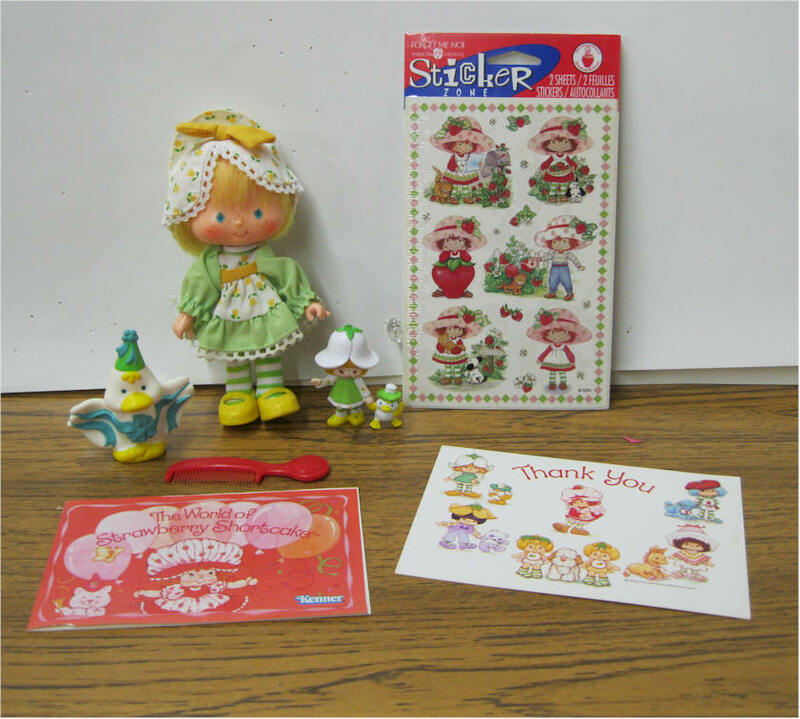 All Original, Comes with Thank You Post Card, SS Stickers - brochure Excellent condition.